2015 Yamaha V Star 1300 Deluxe, THE WORLD'S ONLY FULLY-DRESSED MIDSIZE.High-end style and features minus the high-end price. Fully packed, with a powerful 80-cubic-inch liquid-cooled V-twin, fork mounted fairing with fully-integrated dash and audio system including iPod® / iPhone® compatibility, Bluetooth®, audio hand controller, Garmin® Zumo® GPS, huge locking hard bags, steel fenders and much more. Tour in luxury and style. 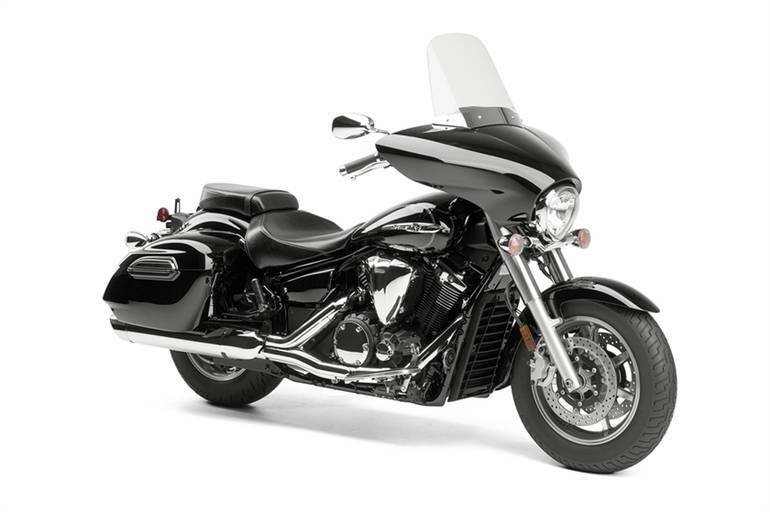 All Yamaha pictures are kind of Yamaha HD motorcycles picture was taken, including motor fuel gauge, engine, engine mounts, tires, fuel tank, the car handles, lights and so on, 2015 Yamaha V Star 1300 Deluxe 1300 DELUXE full-screen viewing,2015 Yamaha Motorcycles today Price: $13,788 .